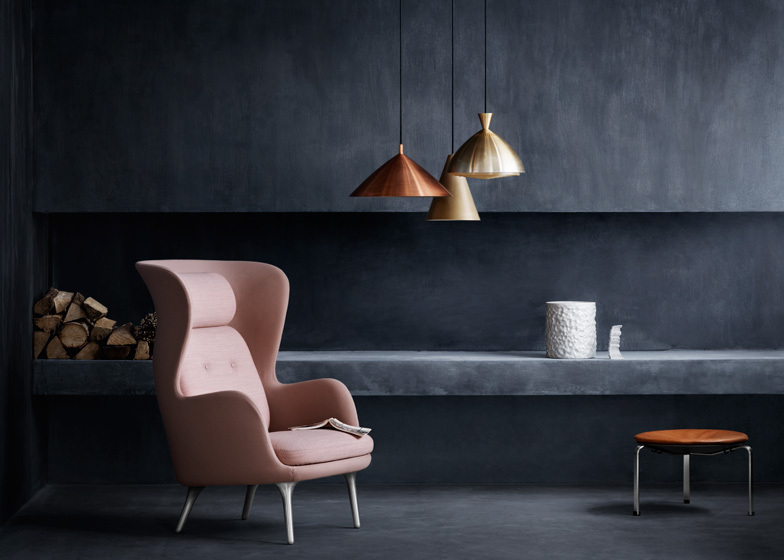 Milan 2013: wingback armchairs by Spanish designer Jaime Hayón for Danish brand Republic of Fritz Hansen were unveiled in Milan earlier this month (+ slideshow). Ro, meaning "tranquility" in Danish, features a curved seat shell that swoops out on both sides to form armrests and dips inward at the neck to follow the shape of the user's body. Separate rounded cushions for the headrest, back and seat are covered in a slightly different texture to the shell they sit in. Two small buttons at chest height provide small details on the otherwise uninterrupted surfaces. The chair is supported on four smooth, rounded legs that can be chosen in different coloured woods or metals. Nine different fabric colour options and a variety of materials including leather and velvet are available. Jaime Hayón debuted the chairs at the Republic of Fritz Hansen showroom in Milan and also presented a series of outdoor furniture for BD Barcelona during the city's design week. Other chair launches from the event we've featured include Konstantin Grcic's Parrish collection for Emeco and Stefan Diaz's trio of chairs for e15. Time for reflection is a luxury in today's world. We are all busy and always short of time to create a moment for quiet contemplation. The new easy chair springs from a desire to create a piece of furniture that offers an opportunity for reflection in our busy lives. However, Ro is much more than an easy chair. It's a 11⁄2-seater where you can relax, change positions and have your newspaper, computer or child next to you and create a new comfort zone. Fritz Hansen’s design brief to Jaime Hayon was “... to create a comfortable seat for one person”. “We put a great deal of effort into the form of the chair, which is inspired by the human body. We wanted a chair that was comfortable as well as beautiful. 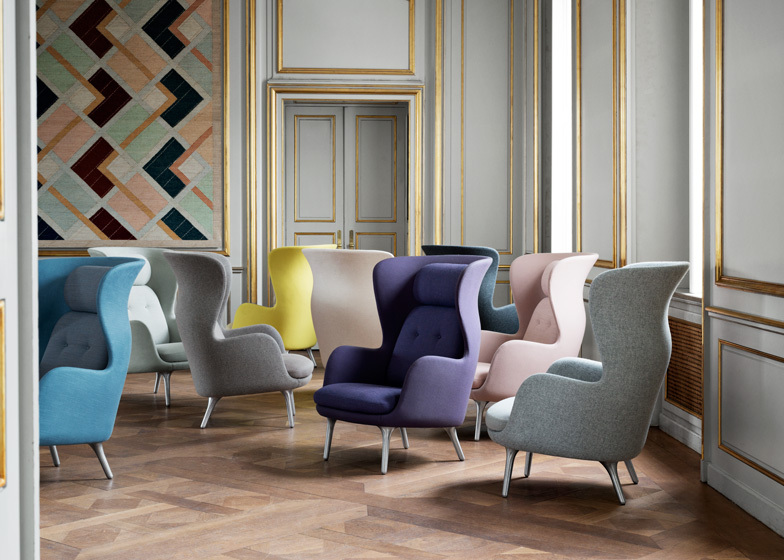 My goal was to create a slim and elegant chair that encourages reflection and comfort,” says Jaime Hayon. “Ro” means tranquility in Danish. The name was chosen because it captures the point of the chair in just two letters, thus reflecting the Nordic approach and concept of beauty. 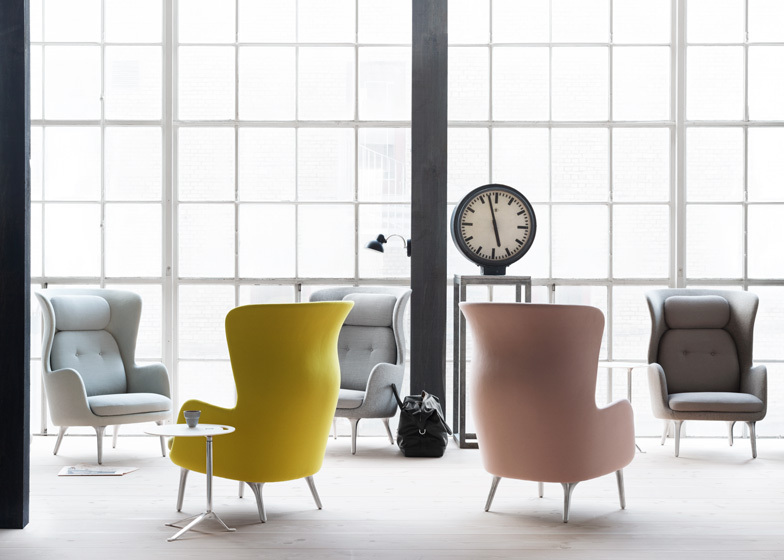 ￼￼￼￼￼￼￼￼￼￼￼￼￼￼￼￼￼￼￼￼￼￼￼￼￼￼￼￼￼￼￼￼￼￼￼￼￼￼￼￼￼￼￼￼￼￼￼￼Ro is launched in the Republic of Fritz Hansen’s showroom in Milan during Salone Internazionale del Mobile in April 2013. The easy chair will be available from Republic of Fritz Hansen and authorized retailers from September 2013.